Age and gravity can take a toll on one’s skin and facial features. The passage of time often leaves people less than satisfied with their appearance. For this reason, some may opt to have plastic surgery to improve the changes that their faces have undergone since youth. For some, having rhinoplasty performed in conjunction with a facelift is the best option to reverse the effects of age. If you believe that your nose has somehow changed over the years, chances are that you are correct. Studies have shown that noses really do change with age. The size, shape and volume of noses can change over time. For example, if you look at an old photograph of yourself and you notice a difference in your appearance, it may very well be due to the fact that your nose has drooped downward. The reasons for this are simple. Nasal cartilage continues to grow even after one has reached their full adult height. Changes in muscle tone and facial tissue elasticity can affect your underlying nasal structure as well. Because the nose continues to change as we age, a person that was happy with their nose as a young person may find that their nose no longer “fits” their appearance. For this reason, many patients opt to have rhinoplasty along with their facelift to ensure a youthful look. Facelift surgery is a popular procedure designed to rejuvenate sagging skin. Patients usually report having younger, firmer skin as well as less wrinkles. An important element of a successful facelift is achieving a balance of facial features and a general harmony between eyes, nose and mouth. For this reason, nasal shape and size are important in order for patients to look and feel the best they can post-surgery. In some patients, a subtle change to the nose can make a dramatic improvement in facial appearance. A minor lift of the nasal tip can greatly enhance the effect of a facelift by improving facial balance and harmony. Depending on a patient’s unique circumstances, the best option may be a rhinoplasty in conjunction with facelift. One advantage of having both procedures done at once is that there is no lag time between surgeries due to recovery time. Your new appearance can be achieved faster rather than waiting for months for swelling to go down before the next step is taken. 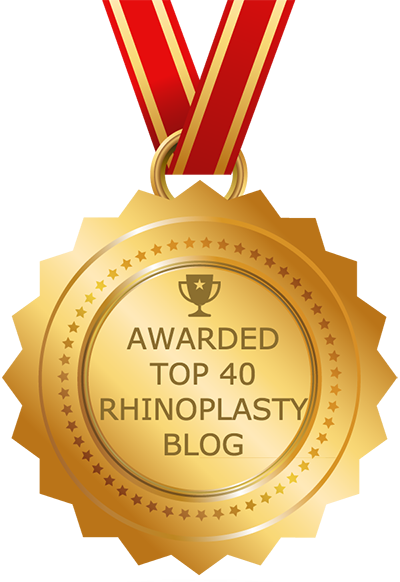 Another advantage of having a rhinoplasty in tandem with a facelift is a reduction in total recovery time when compared to having both procedures done separately. Why go through two recoveries instead of just one? An added bonus of having a combined procedure is that one may save money on both sedation and surgical procedural costs. During a facelift, a patient will undergo anesthesia; which should always be completed by a board certified anesthesiologist. Patients may receive either twilight sedation or general anesthesia. The type of sedation used will be determined by the anesthesiologist beforehand during a pre-surgical consultation. Combined surgeries comprising both facelift and rhinoplasty are quite common nowadays. Because a facelift typically takes around five hours to perform, and a rhinoplasty two hours, it is important that a qualified anesthesiologist oversee the procedure, due to the length of sedation. Typical recovery time following a facelift with rhinoplasty is approximately one week to two weeks. Some swelling will remain in the face beyond this period but will reduce with time. A dressing will be applied following the procedure that will be removed after 24 hours. Patients may return home immediately after surgery. Prescription pain medication will be provided to those that need it. Some tightness and pain should be expected for the first two weeks of recovery. Stitches will be removed between seven and 10 days following surgery. The use of makeup and hair dye is strongly discouraged during the first week of recovery. Strenuous exercise should be avoided for six weeks in order to avoid swelling. Exposure to the sun should be avoided as well.